Hello, Thank You for taking time to visit our web site. After the excitement of the engagement settles, the wedding plans begin; there are many details to cover, arrangements to be made, and pre-wedding parties to attend. When it comes to your wedding photography, nothing but the very best will do. We understand the pressures in planning a wedding. We have the knowledge and experience to capture those precious moments of unspoken romance, the exchange of private winks, loving glances, and gentle touches that will be treasured forever in your wedding album. Remember, great wedding photography is not expensive, it's priceless!! OUR DIFFERENCE - Instead of a book of standard poses or a collection of video clips, we deliver a picture story of your wedding, capturing the mood and personality of the participants. We have become experts at capturing the thrill and excitement of weddings mastered the techniques of using ambient lighting, candid compositions. At Positive Image Photography, our team will provide you with service dedicated to your wedding and to your satisfaction. It is a team that works with you from the planning of the photography through the selection and design of your albums. 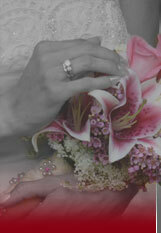 As a result of its many years of experience, this team has a working relationship with many other wedding services. This enables them to work smoothly and efficiently during the wedding, without being obtrusive. We like to get to know our couples before the wedding so we can see your real personalities and the type of relationship you have together. This is one of the keys to creating images that are more "Real to life." Having fun on your wedding day is how we capture the "real" expressions. From a low pressure sales style to our low key shooting style, you will never feel pressured when we record the priceless moments of your wedding day. VALUE - After the flowers, cake and almost everything else are gone; your bridal album will keep the memories alive forever. From the cutesy grins of the flower-girls who by now have kids of their own to the proud smile of your Dad when he still had his hair. No other choice you make before your wedding (except perhaps that of your groom) will matter so much over the years as who did the photographs. EXPERIENCE - With over twenty years of experience preserving the cherished moments, we have captured the gleaming smiles of hundreds of couples. Our loving care and expertise assures that the capturing of your wedding images will be a memorable part of your wedding day. ASSISTANCE - We know that your wedding photos should express your true personalities, not someone else’s idea in a pre-fabricated "package". Large or small, grand or intimate, formal or casual we will work with you to orchestrate a perfect blend of elegance and artistry, turning your story book romance into a fairytale wedding. Our goal is to assist you to plan and produce your wedding, your way, at your price (while avoiding pitfalls that other less experienced studios have never seen or don’t care). MEMORIES - As you celebrate your twenty-fifth wedding anniversary and think back to that big day when you tied the knot, a few things will stand out and some will be lost in the fog of time. You may not remember the caterer or even what was on the menu. The cake, the flowers, the decorations; most of the choices you worried about will not matter much by then. With one exception; the photograph album that sits on the shelf has the power to bring it all back. TRUST - All weddings and portraits are photographed by me (and when requested a second Photojournalistic photographer; not just 'whoever is available' like some large studios). I will book only one wedding per day to insure you receive my undivided attention (Please keep in mind as I only can photograph one wedding per day; my schedule fills quite rapidly, so book as early as possible). Your package, your way, within your budget. Personal, friendly and professional service and advice to avoid wedding pitfalls. More than twenty years experience. Digital or medium format equipment (2-1/4") with back-up on site. Flush mount and coffee table albums available. No need to come to our studio, we can come to you. Double lighting - What this additional lighting gives you is tremendous depth and color clarity in the pictures. Pictures taken with this lighting technique no longer give wedding reception photos the look that they were taken in a coal mine. Deluxe and standard video options. REFERRALS - Approximately 90% of the weddings we photograph are from a referral. That is a powerful statistic and tells us that people are extremely pleased with, not only the final product, but the manner in which we conducted ourselves throughout the entire process. In some cases, people have referred us after just watching us work (without ever seeing our "finished product"). We are interested in creating a Client for Life, not just for one day. We would like to create warm, touching images of your family's growth in the years to come and some day, your children's wedding. When you choose Positive Image Photography, you get experience, talent, support and a price to fit your budget. The peace of mind on your wedding day is just an added benefit. Our philosophy on wedding photography is to have fun with great images. That's it!